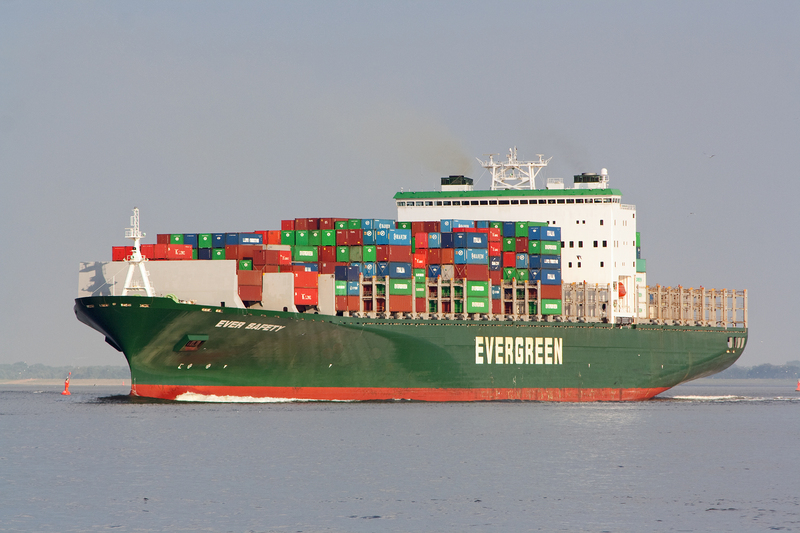 The Containership „Ever Safety“ seen passing Cuxhaven bound for Hamburg on 15th August 2013 in the first Picture. 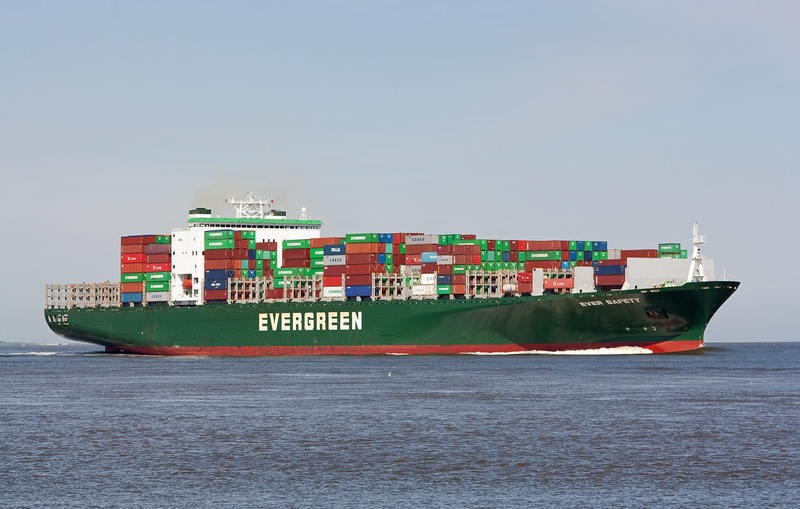 In the other Pictures one day later the ship was passing also Cuxhaven bound for Rotterdam. 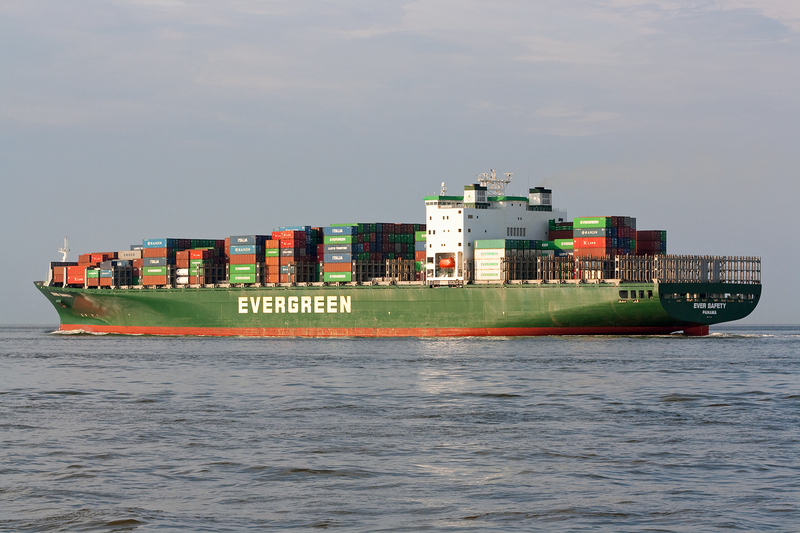 The ship has a lenght of 300meters and a beam of 43meters. 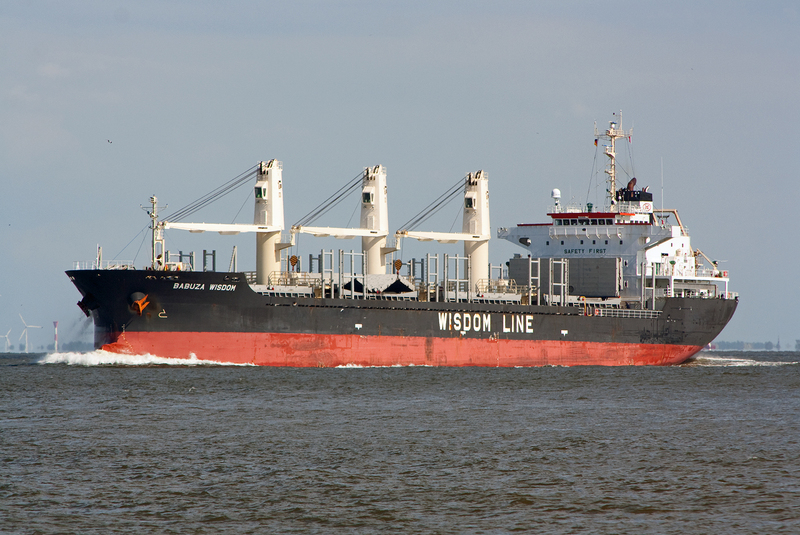 She was built in 2006 by Mhi Kobe Shipyard & Machinery Works Kobe, Japan. 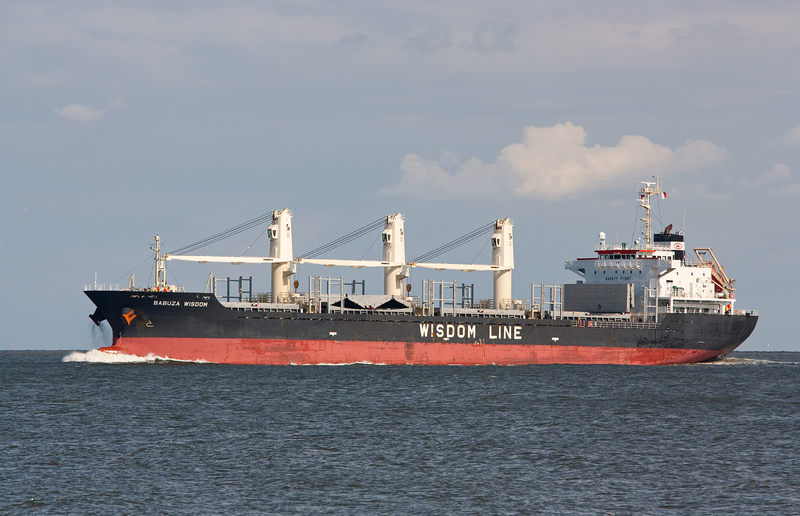 The 2009 built Bulk Carrier „Babuza Wisdom“ passing Cuxhaven on 11th August 2013. The ship has a lenght of 140meters and a beam of 25meters. She was built by Kanasashi Heavy Industries Shizuoka, Japan. 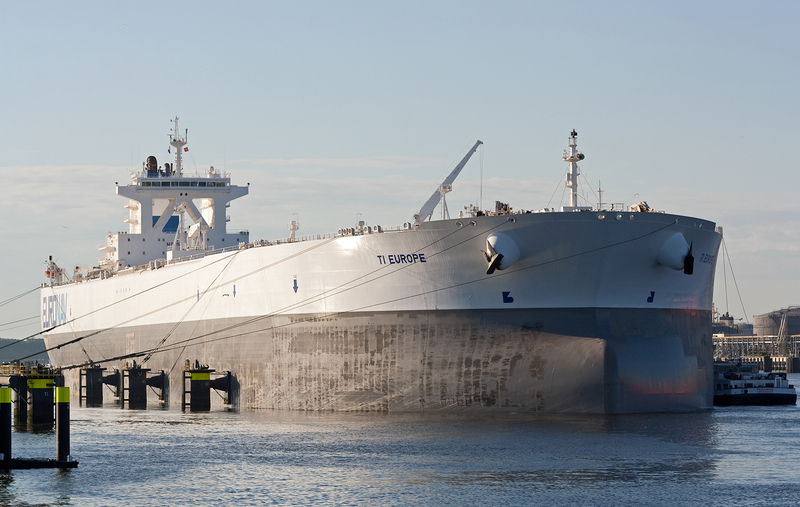 The world largest Crude Oil Carrier „Ti Europe“ seen in Rotterdam on 04th August 2013. 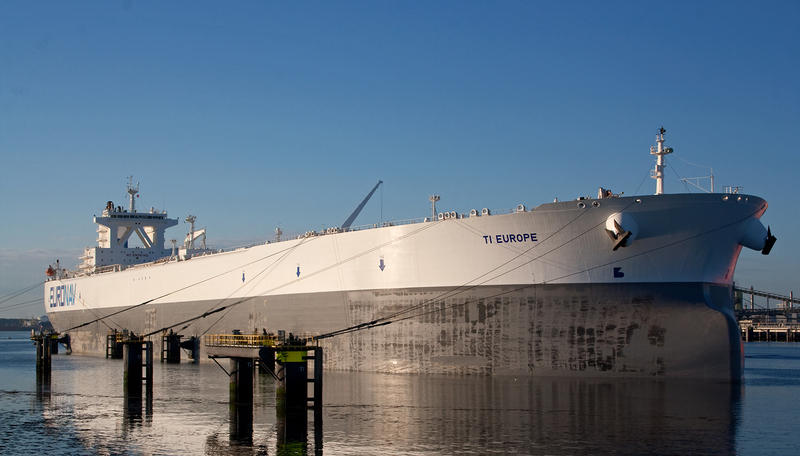 „Ti Europe“ has a lenght of 379meters and a beam of 68meters. 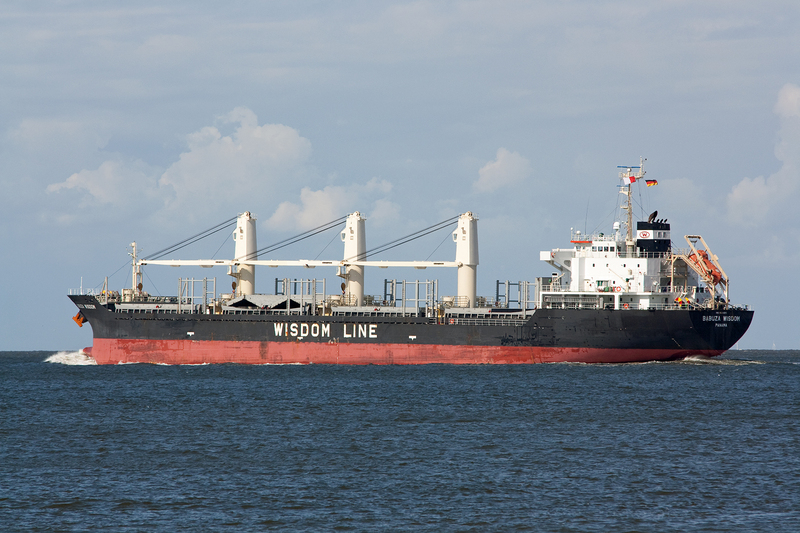 The Tanker was built in 2002 by Daewoo Shipbuilding & Marine Engineering Geoje, South Korea as „Hellespont Tara“. The ship was before it called Rotterdam in Brest for a full technical survey and Service in drydock by Damen Shiprepair, Brest. 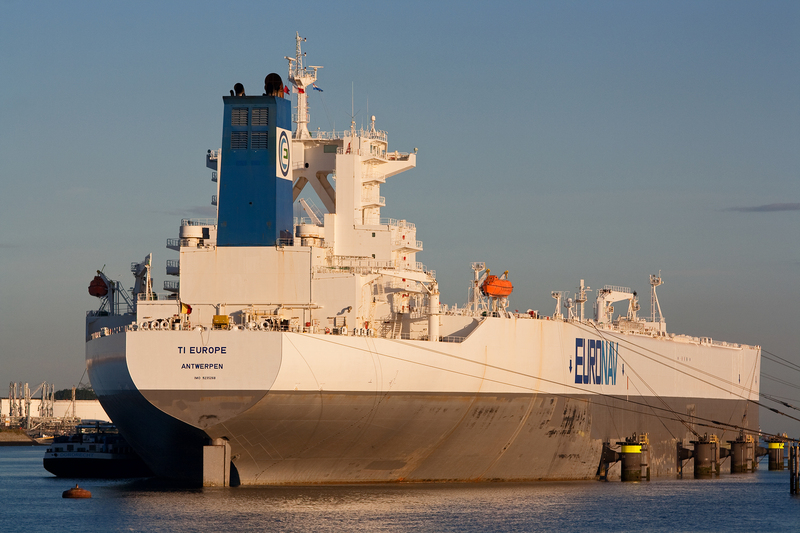 After the call in Rotterdam „Ti Europe“ went to Singapore with a load of Russian Oil. 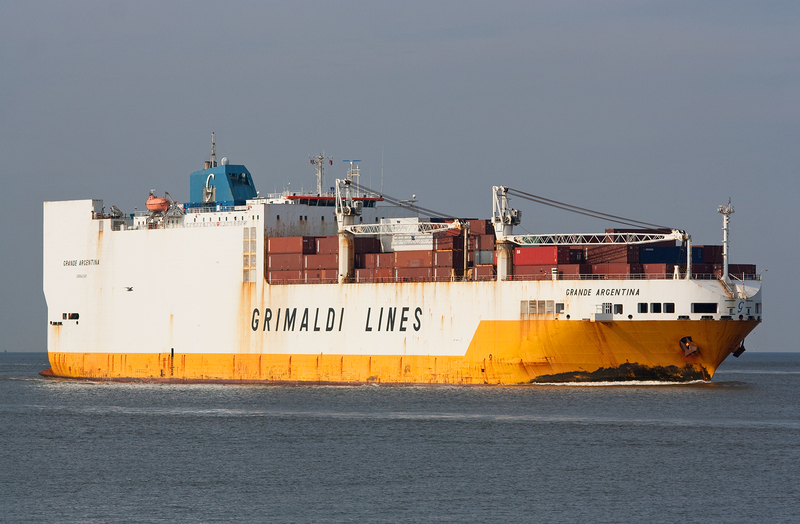 2001 built RO/RO Containership „Grande Argentina“ passing Cuxhaven bound for Hamburg on 17th August 2013. The ship has a lenght of 214 meters and a beam of 32meters. It was built by Fincantieri, Trieste in Italy. 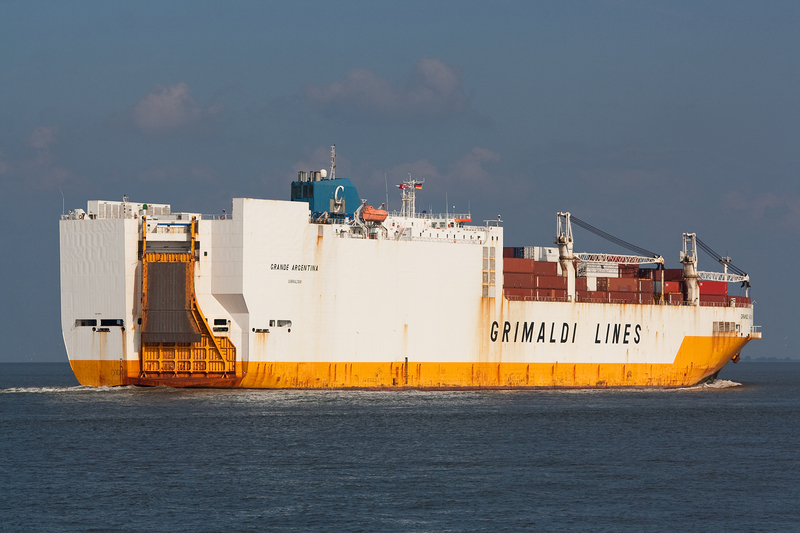 She can carrier 2500Cars and 800Twenty Feet Containers.